A great option for touring as an alternative to a splitboarding or ski tour set up. Super light to carry and to travel on. We recommend these for snowboarders wishing to take part in our Chill Guided Tours who do not have a splitboard. We hire out our NZ made nutcrackers for riding the rope tows. Perfect if you're visiting the clubbies and want to head up ready and rearing to go! We hire out our NZ made nutcrackers & harnesses for riding the rope tows. Perfect if you're visiting the clubbies and want to head up ready and rearing to go! This is a great way to try out the gear before you purchase. Hire a Transceiver, Shovel and Probe for your backcountry mission or for taking part in a Snow Safety or Intro to Ski Touring Course. Need to hire a Transceiver, Shovel or Probe? Or looking to try before you buy. We're happy to split one of our sets if you just need one or two of the components. 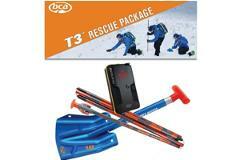 Handy for ascending and descending icy terrain. A New Zealand made sacrificial piece of leather that slides over your gloves to protect them from getting destroyed in 5 minutes when grabbing moving rope tows. 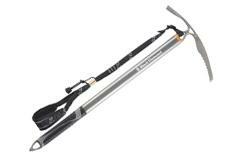 Versatile pole for skiing, hiking, splitboarding and snowshoeing. Designed for all backcountry enthusiasts, the Kamber 32 includes multiple options for ski and snowboard attachment, fast and easy access to critical snow safety gear, and other winter-specific features. Designed for all backcountry enthusiasts, the Kamber 42 includes multiple options for ski and snowboard attachment, fast and easy access to critical snow safety gear, and other winter-specific features. 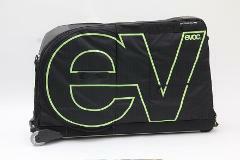 We get it - you're going away on a trip and need a bike bag to transport your treasured ride but don't want to fork out for a new one that's going to be stashed for the rest of the year. Great news: you can hire one from us!